PRICE REDUCED TO $1,250,000 ON APRIL 16, 2019!! Searching for a home at Lake Martin that will make your heart flutter? 105 Misty Ridge may be just the one for you! 105 Misty Ridge is located in The Ridge – a popular area here at Lake Martin. 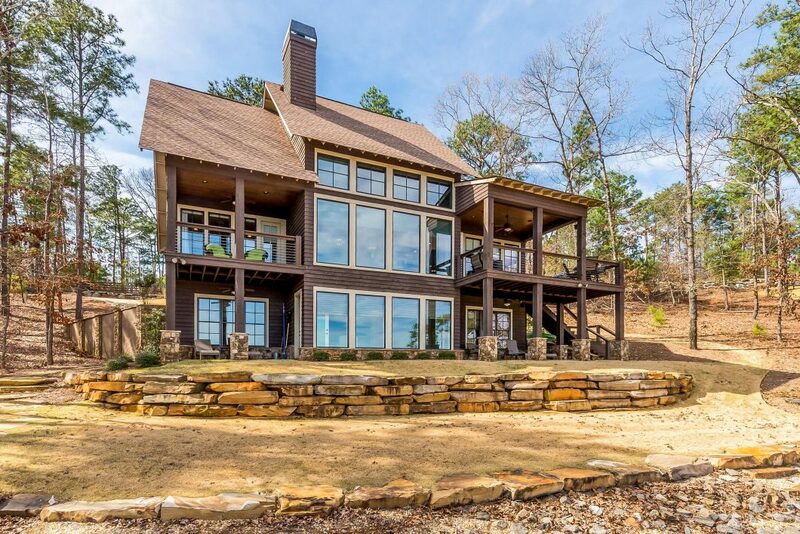 With over 3,000 sq ft this lake home has all of the latest interior finishes such as shiplap and board and batten walls, hardwood floors, ceramic tile that looks like wood planks, beautiful custom tile work in the bathrooms, granite countertops in the kitchen and bathrooms, a farmhouse sink and a sliding barn door on the lake level. On the main level enter through the front doors or walk in through the side door and find the convenience of the mud room and laundry room as you head to the kitchen. Also on the main level is a master suite and half bath. The master suite has its own private balcony so you can enjoy the view. The lake level has three bedrooms and three bathrooms, a bar area with sink and ice maker and a large den that opens onto a large covered patio. This home has lots of room for family and friends! Outside enjoy the short walk to the dock and take in the stunning lake view! 105 Misty Ridge is close to the The Ridge Marina but protected by Cypress Point so you won’t experience a lot of waves. Living here you will have access to all the extras of The Ridge such as miles of hiking trails, The Ridge Beach Club, a neighborhood boat ramp, a 10 acre recreation complex (tennis, swimming, workout center and more), and a members-only clubhouse. Unwind and enjoy 105 Misty Ridge!